When you enter into a lease, the intention isn’t to break it. It does happen, however. Sometimes life gets in the way, and other times renters accidentally break a lease because they aren’t aware of all the rules. But the fact remains that a lease is a binding agreement that specifies the renter’s responsibilities – mostly paying X amount of rent for X amount of months. Given that many landlords depend on rent as their sole source of income, it’s understandable why they take lease terms seriously. No matter the reason, there are Texas laws that protect your landlord if you break your lease and rights that protect renters. There are many ways a lease can be broken. The standard Texas Association of Realtors lease agreement is 14 pages full of rules and regulations. But some terms are broken more regularly than others, often because renters don’t even realize they’re doing something wrong. Moving out of an apartment or rental home before the term is up. Not giving notice of your move out far enough in advance. Not getting the adequate amount of required renter’s insurance. Not getting approval before installing equipment – locks, security systems, etc. It doesn’t matter if you move into a downtown Houston apartment or an estate in Dripping Springs – breaking a lease has the same consequences no matter where you live in Texas. You’re in the military and called to active duty. You’re a victim of stalking or sexual assault. The rental unit is unsafe. The rental unit violates Texas health and/or safety codes. The landlord violates tenant privacy rights. War and National Defense Servicemembers Civil Relief Act, 50 App. U.S.C.A. §§ 501 – This is a federal law stating that people who are serving in the military or another federal uniformed service can end their lease early without repercussions if they are called to serve or get stationed in another location. Transfer Clause – If there is a transfer clause worked into the lease you will be able to end the lease early without breaching it if you have to move because of a work transfer. You may still have to pay reletting fees, but you won’t be on the hook for the remainder of the rent. Repair Regulations – In Texas there are regulations that tenants have to follow when asking for repairs to keep the home safe and secure. You have to put the request in writing and give the landlord enough time to attempt to address the issue. If you follow the regulations and the landlord doesn’t make the necessary repairs, you can end the lease without liability. There are also laws protecting the landlord that you need to know about if you’ve broken your lease or need to move out early. Texas Property Code Ann. § 91.006 – This regulation works in your favor. Basically, it’s the part of the Texas property code that states that the landlord must do their due diligence to rent out the home to someone else to “mitigate damages”. They have to find another renter as quickly as possible to minimize the cost for you if you have to move out early. However, they don’t have to accept something less than fair market value in an effort to get someone in ASAP. Reletting Fees – Reletting refers to the landlord’s requirement to re-rent your place. Legally a landlord can charge reletting fees to offset any costs associated with advertising and getting the place ready for lease. Non-Payment Eviction – If you fail to pay your rent or break your lease in another major way, the landlord can have you evicted within two weeks of breaching the contract. 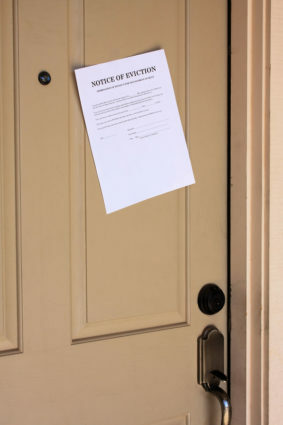 Prior to the eviction, the landlord must serve the tenant with a written notice to vacate at least 72 hours in advance. If a tenant doesn’t vacate on their own the landlord will then need to get an eviction judgment from a justice of the peace to enforce the move out. Liability for Expenses Incurred – Tenants could lose more than their deposit if they breach their lease. Texas regulations state that tenants are liable for any expenses that the landlord incurs because a lease was broken. Safety Concerns Work Both Ways – Under Texas law landlords must ensure that their property meets safety and health standards. Even if they meet these requirements but the landlord lies about the safety of the neighborhood, the tenant may be able to legally end the lease early if they relied on this information when deciding to rent the property. Something to keep in mind is that many laws can be overridden by terms in the lease. It’s extremely important to make sure you always read the lease carefully before signing to ensure you’re protected. The landlord gives the tenant a 3-day notice to vacate. If the parties don’t reach an agreement or the tenant doesn’t move out the landlord can then initiate an eviction lawsuit with the Justice of the Peace Court. The local sheriff’s office will serve the tenant with court documents that state the date of the court hearing. The tenant can go to the hearing to plead their case. Based on the evidence the judge will make a ruling. 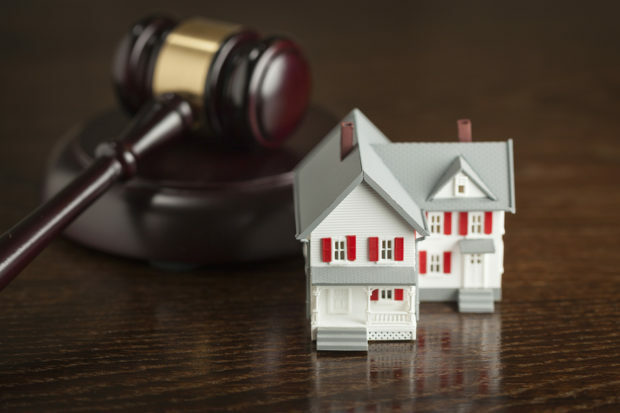 If the ruling is against the tenant, the tenant will have to appeal the ruling or vacate within five days. If neither of those things happen, the sheriff will issue a Writ of Possession. This will allow for the forcible removal of the tenant’s belongings. Need to make a move in Texas? No matter what your lease situation is, Square Cow Movers can help you get moved quickly. Give us a call to schedule a move out or packing services.